The Prime Minister said India had registered its name amongst the space superpowers. "So far, only three countries were in this club – America, Russia and China. Now India has become the fourth country to develop this capability,” he said. Space remains a grey area without binding international treaties to govern the conduct of nations. However, there is a broad consensus that ASAT tests that involve physically destroying a satellite should be avoided, as it creates space debris, which endangers other satellites and space vehicles. China’s 2007 ASAT test, which struck the target satellite at an altitude of over 1,000 kilometres, broke it up into more than 3,000 fragments, which still pose a hazard in space. Modi, too, emphasised India’s responsible conduct. “India has always been against the deployment of weapons in space and it has not deviated from that position. Today’s test in no way violates any international law or treaty or understanding,” he said. 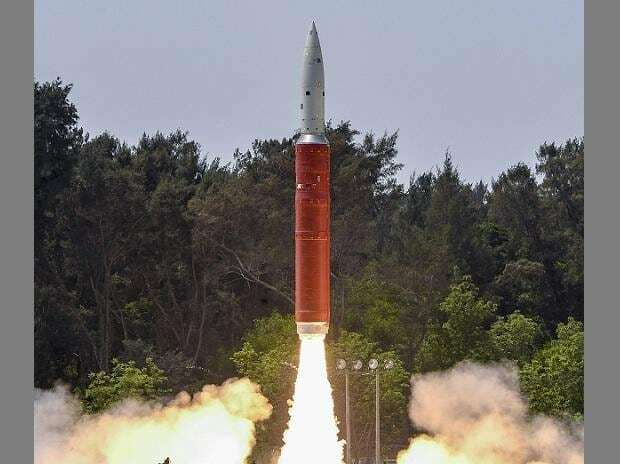 The defence ministry said: “The test has demonstrated the nation’s capability to defend its assets in outer space.” However, experts pointed out that Mission Shakti did not test a defensive system that could shield Indian satellites from attack. Instead, it tested a retaliatory capability to shoot down enemy satellites. “In wartime, the enemy may want to degrade our surveillance or communications capabilities, for example by taking down an Indian Navy satellite. Developing the capability to destroy enemy satellites would hopefully deter him,” said Rakesh Sood, a former Indian diplomat who specialises in nuclear and space policies. Rajeshwari Rajagopalan, a space specialist with Observer Research Foundation, said that even though there was no international momentum for banning ASAT tests, New Delhi might have decided to conduct its tests now before any ban came into effect. Having been left on the wrong side of the Non-Proliferation Treaty, it played safe this time. “The timing, however, is significant, just weeks before the general elections. With no ASAT test conducted over the last five years, there was no technical compulsion to do so at this time, only an electoral one,” said Rajagopalan. New Delhi has ratified the 1967 Outer Space Treaty, which prohibits weapons of mass destruction in outer space, but not conventional weapons. India has participated in all sessions of the UN Committee on the Peaceful Uses of Outer Space. New Delhi has supported UNGA resolution 69/32 on No First Placement of Weapons on Outer Space. In the Conference on Disarmament, India supports consideration of the Prevention of an Arms Race in Outer Space (PAROS).